Your bucket list is about to get much bigger. Mine certainly has. I have only completed 2 of the 7 treks listed below, the Camino de Santiago and the Sentiero Azzuro in Italy. But I do plan to complete many of these treks in the future. Many people, I know, start with a single trek, which is a gateway to many. The goal for most is to enjoy the great outdoors and have a meaningful travel experience. I have judged popularity by numbers, meaning this is a list of the most frequented long distance trails in the world. 1.) Camino de Santiago, SPAIN – This historic trail sees an average of 220,000 people per year. People have been walking this trail since the middle ages and it seems to be getting more popular with each passing year. Plan for around 35 days to complete the 490 mile trek. 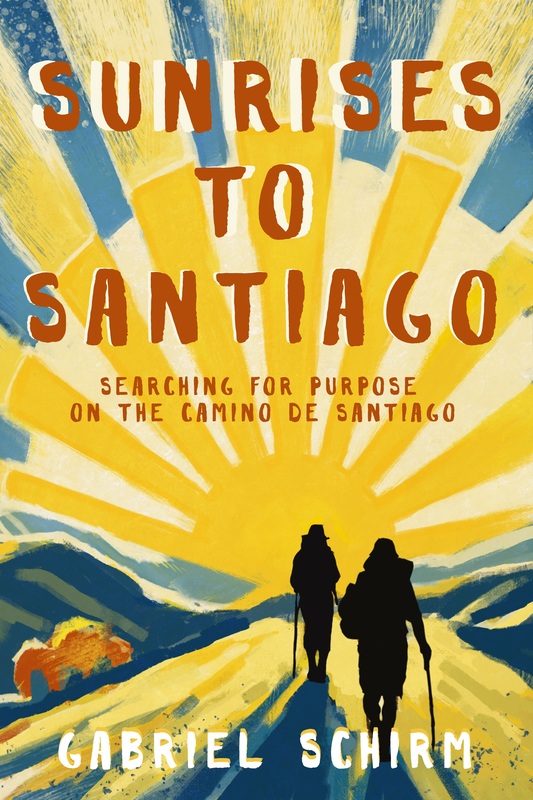 The most popular route on the Camino de Santiago is the Camino Frances which begins in St. Jean-Pied-de-Port in France and ends in Santiago de Compostela. 2.) Pacific Crest Trail, UNITED STATES – 2015 was a record year for the PCT. 527 people completed the entire trail. Hundreds of thousands of people walk parts of the trail each year as well, not completing the entire journey. One of my best friends and his wife were included in that 527 number this year. This trail, which connects Mexico and Canada via California, Oregon and Washington, is 2,633 miles long and will take you 5 months or so to complete. How can you find the time? My friends just quit their jobs. Worth it? Absolutely. 3.) Appalachian Trail, UNITED STATES– About 5,000 people per year attempt the entire Appalachian Trial. About 1 in 4 of those actually complete it. The trial stretches 2,200 miles between Georgia and Maine. The speed record for completing this trek is held by Scott Jurek who completed it in roughly 46 days. Frankly, speeding through an outdoor adventure doesn’t make much sense to me, so take your time to actually enjoy it. 4.) Sentiero Azzuro, ITALY – If you are looking for a ‘short’ long distance hike then this 7.5 mile trek, which takes about 6 hours, is exactly what you are looking for. This is at the top of my list for one of the most beautiful hikes I have ever done. The trail takes you through Cinque Terre, Italy and the name translates to the ‘blue path’, maybe because of the turquoise blue waters of the sea that stretch out below you as you hike cliff side. A bonus is that you can relax on the beach when you are done, plunging your sweaty body into the sea before dining on fresh pizza and wine. Around 400,000 people a year visit the colorful seaside villages of Cinque Terre, many of whom hike this trail. 5.) Colorado Trail, UNITED STATES – This will likely be my next trek. I live in Colorado and I simply must walk this trail. It is estimated that about 150 people per year complete the trail while thousands walk sections of it each year. This is a 500 mile trail from Denver to Durango in Colorado. This is almost exactly the same distance as the Camino de Santiago in Spain. It crosses 8 mountain ranges and some spectacular Colorado landscapes. Plan on 4-6 weeks to complete the entire trail if you are going to hike it all at once. If you can’t get this much time off not to worry. This trek is made up of 28 segments and many choose to hike parts of the trail each year. Planning resources for the Colorado Trail here. 6.) Continental Divide National Scenic Trail, UNITED STATES – This trail extends 3,100 miles from Canada to Mexico and of course follows the continental divide. It is considered one of the greatest long distance trails in the world and is, along with the Pacific Crest Trail and the Appalachian Trail, part of the triple crown of long distance hiking in the United States. It passes through Colorado for 650 miles of amazing trails. Around 150 – 200 people complete the entire trail each year which takes almost 6 months. Hundreds of thousands of people complete sections each year. In Colorado there are many 1 week, 2 week or 3 week options for hiking sections of the trail which passes through the Collegiate Peaks Wilderness, Mount Elbert and Mount Massive (Colorado’s highest peaks), Rocky Mountain National Park, Wolf Creek Pass and the trail crosses 14,270 foot Grays Peak. This happens to be the highest point on the entire trail. Planning resources for the Continental Divide National Scenic Trail here. 7.) Shikoku Pilgrimage, JAPAN – Many people I met on the Camino de Santiago also planned to hike the Shikoku Trail in Japan. This is a 750 mile long trek that takes you to 88 Buddhist temples on the island of Shikoku. It takes anywhere from 30 – 60 days to complete. This trail is 1,200 years old and today, of the 200,000 people or so each year that complete the pilgrimage, only a few thousand do it on foot. Many choose bus tours. All amazing! I think your stats for the AT might be a bit off though, I think max 5,000 people attempt to thru hike a year and only 1 our of 4 finish… the way you have it written 20,000 are attempting to thru hike a year and only 5,000 finish, I can assure you that isn’t true! From my knowledge the numbers are even lower, maybe 3,500 attempt to thru hike and 1 out of 4 finish, which means only around 875 people finish. But you should check those numbers with the ATC, they have data on every year, how many people attempt and how many people finish! El Camino is very high on our list of thru hikes, so cool that you have done it! We are headed out the to the PCT this next year! No problem, we just hiked it a couple of years ago and so I felt like those number were a bit high!! Thank you for the tip Clearskiescamino! For a shorter “long distance” hike I strongly recommend the Tahoe Rim Trail. Amazing scenery day after day, for about 175 miles. It runs a short distance in common with the PCT, and as the name suggests, encircles Lake Tahoe. Thanks for the tip Pong! Tahoe Rim Trail sounds awesome. The coast to coast is amazing in the U.K. 192 mile walk put that on your list!